This article originally published at Clean Technica. View the original post here. 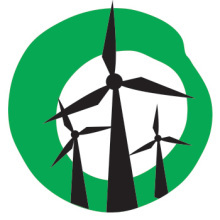 The Westermost Rough offshore wind farm is a joint venture between DONG Energy and its partners Marubeni Corporation and the UK Green Investment Bank. The project marks the first time that the Siemens 6 MW turbine will be used at a commercial level. Upon completion, the farm will have a total capacity of 210 MW and generate enough electricity to power approximately 210,000 UK homes. This also marks the first installations of the longed-for Round 3 — proposed by The Crown Estate in 2008, it initially comprised nine offshore zones of varying sizes available for offshore wind development. With the installation of the Siemens 6 MW wind turbine, the opportunity to cut costs arises with bigger and more efficient turbines. “This is a major landmark in the construction phase of this project and its achievement is a great credit to the DONG Energy team and our supply chain partners,” said Duncan Clark, Westermost Rough Programme Director at DONG Energy. The news comes just days after DONG Energy’s partners announced that the “landmark refinancing” of their involvement. The Green Investment Bank (GIB) announced earlier this year that they would be providing equity investments worth £461 million into these offshore wind projects using Siemens “next generation” wind turbines. The GIB and Japan’s Marubeni Corporation have now apparently signed an agreement with a consortium of lenders who are set to provide £370 million of limited recourse senior debt. “This is an important transaction in the development of offshore wind in the UK,” said Ed Northam, head of investment banking at GIB. “In refinancing part of our 50% equity stake in the Westermost Rough project – jointly held with Marubeni – we have brought in a number of new, long-term financiers to the sector. Previous Previous post: Vic jobless rate on the rise… Renewables to the rescue?